This Place of Worship was founded in 1100, and we understand it is still open. Kelly's Directory of 1932 describes St Peter & St Paul's Church as "a building of stone in the Norman style, the oldest part dating from the time of Stephen". 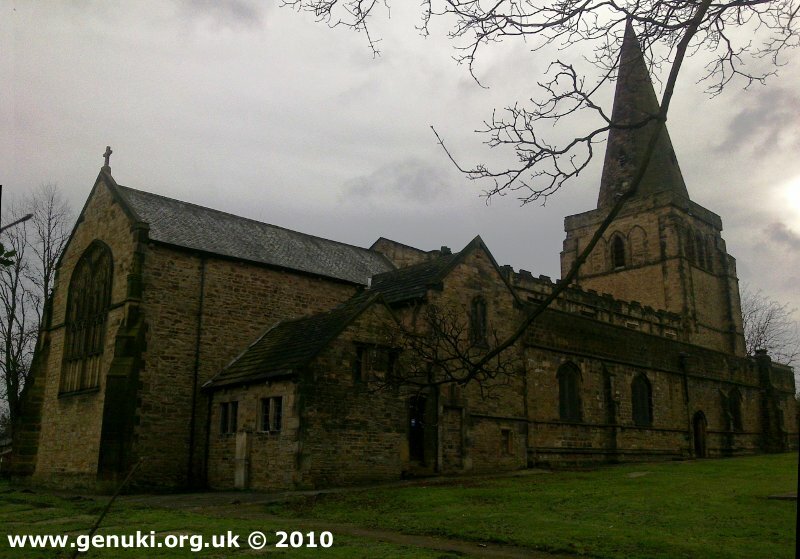 It consists of chancel, clerestoried nave, aisles and an embattled western tower of Norman date with spire and containing a clock and 8 bells. In the church is a curious hagioscope, and in one of the windows of the south aisle are the words "Roger Darci", supposed to date from 1548. There are various memorial windows to Mrs Chapman, and members of the Wilson family. The parish records date from 1558, but is "deficient and mutilated to 1568, as well as between 1575-8 and 1590-5, but from this date the entries run uninterruptedly". The return to the Religious Census of 1851 (HO 129/448/4/2/6) for an estimated congregation on March 30th of 240 in the morning, and 192 in the afternoon, with 151 and 152 Sunday Scholars respectively was completed by Edmd. Bucknall Estcourt, the Rector of the parish, who resided at Eckington Rectory. 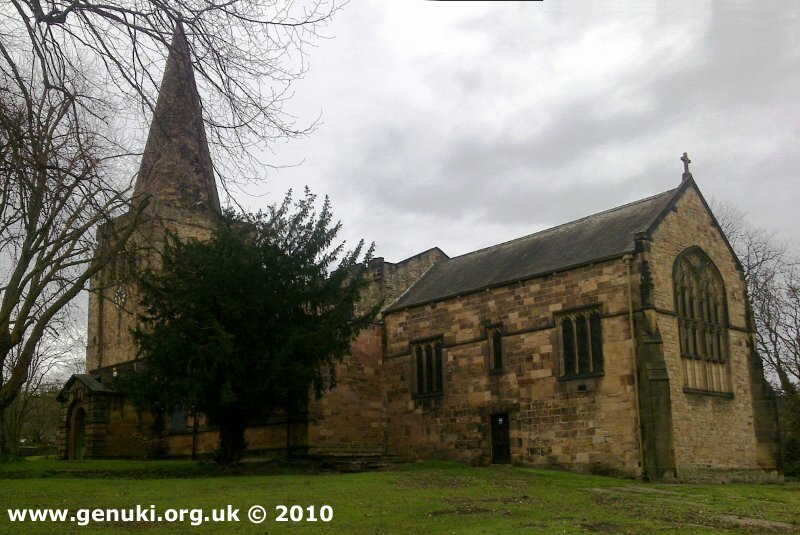 The churchyard was closed to interments "by Order in Council" on 26 March 1878. Eckington Cemetery was opened a year earlier, in 1877, with separate parts for the Established Church, Roman Catholics and Dissenters. The living was a rectory formerly consolidated with that of Killamarsh and the vicarage of Ridgeway, but the latter were separated in 1843. 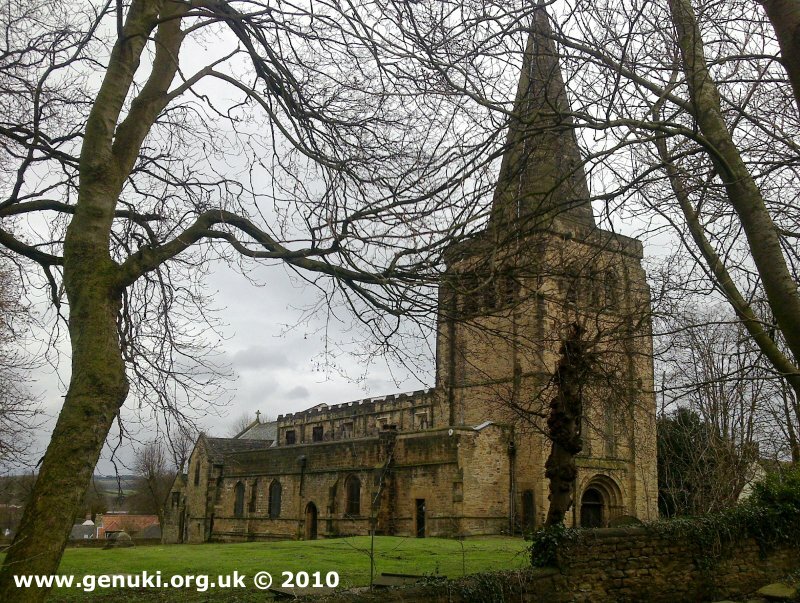 Mosborough, Renishaw and Troway were also townships; Mosborough later became a separate parish, and was transferred to the City of Sheffield in 1968, whilst Ridgeway was reunited with Eckington in the 1970s. St Peter & St Paul's Church, Eckington shown on a Google Map. Places of Worship in Eckington shown on a Google Map. Information last updated on 22 Dec 2014 at 13:52. Please also remember that whilst the above account may suggest that St Peter & St Paul's Church remains open and accessible, this may not remain so. This Report was created 25 Mar 2019 - 00:08:14 GMT from information held in the Derbyshire section of the Places of Worship Database. This was last updated on 6 Feb 2019 at 15:49.